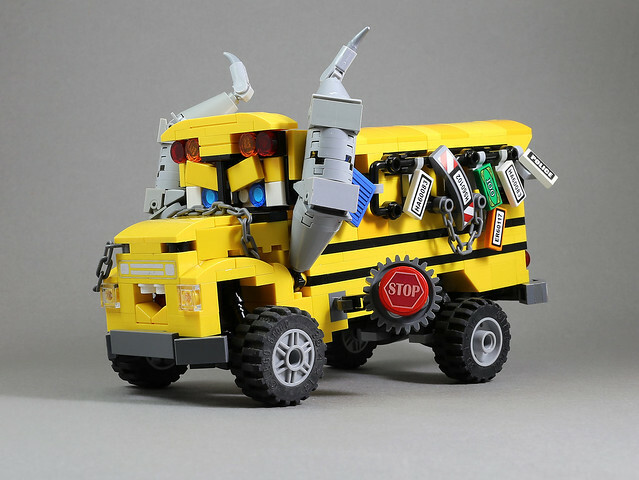 I haven't seen Cars 3 yet, so I was a bit mystified by this crazy school bus by builder LEGO 7. Mystified and intrigued, and after a quick google search and a YouTube rabbit hole, I want to see the movie, if for nothing else than to see the demolition derby scene. And while I'm not very familiar with the character, it's plainly obvious he totally nailed the look with this MOC.